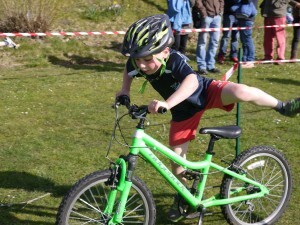 Home / Featured • Headline / Junior Duathlon Action! Congratulations to all of the juniors who braved the biting wind today to race at the Purbeck Sports centre. Full race report and results can be found at www.tripurbeck.co.uk, however I would like to take this opportunity to thank Planet X for their continued support of our Triprubeck Junior squad and the duathlon /triathlon events we run. Not only have they enabled the club to purchase road bikes and turbos at an incredibly good price for our developing squad, but they also support our events by providing great prizes, and the biggest banner I think I have ever seen!! We are a non profit making club, and do our best to keep costs as low as possible, so everyone can come and have a go. This is made possible due to this kind of support, so thank you planet x! Pictured above are the remaining Juniors who stayed on for the Prize giving, and below, great mounting skills from a seasoned tristart athlete!! 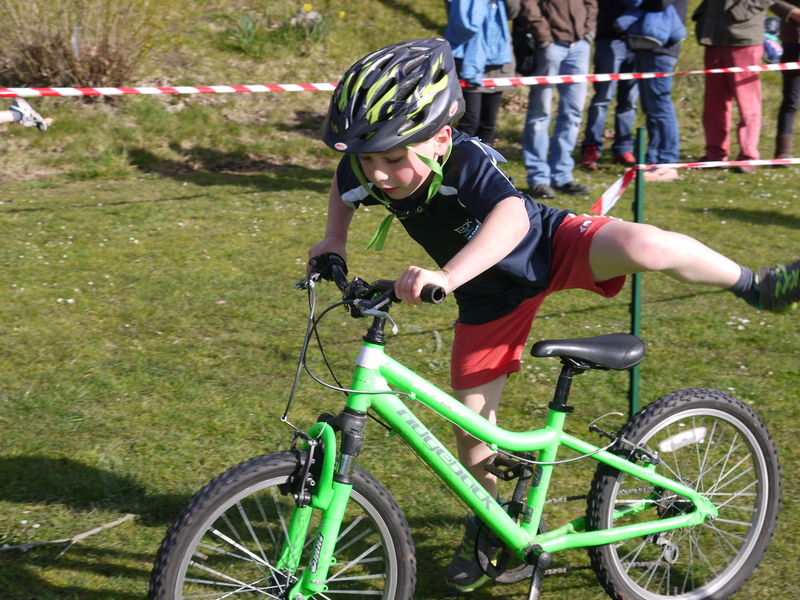 Next race is a triathlon at Milton Abbey School on the 17th May, so if you have any budding Juniors who fancy a go, or would like to get involved in our junior squad, either email me directly, or go through our tripurbeck website.